Let us bring Part Time Fabulous to you. Please sign up below to indicate your interest in hosting a screening. Sign up using this request form and we’ll contact you with the details. We are deeply committed to inviting a community dialogue around Mental Health. To start a National Conversation about Clinical Depression, the Stigma around it and Recovery. “This is one of the most accurate movies about depression. It’s a conversation starter.” Anthony Banks, Graphic Designer. 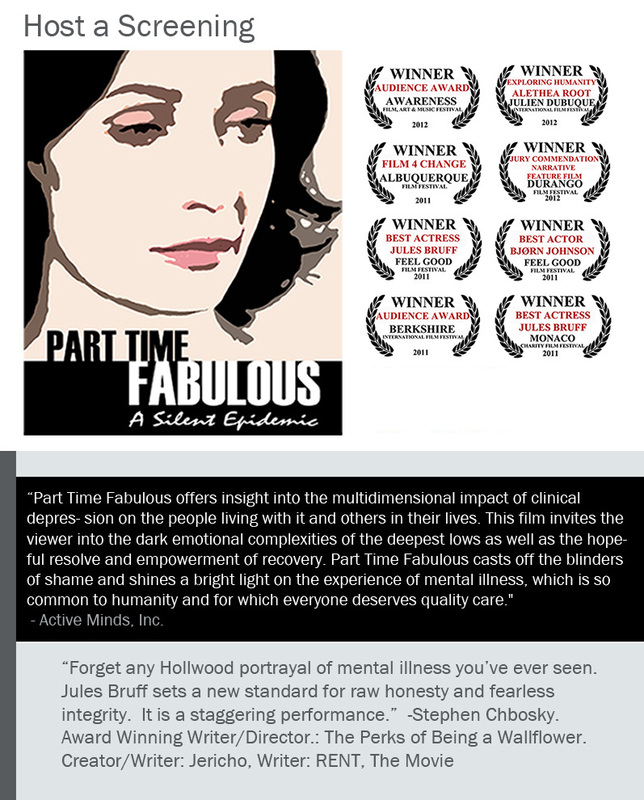 Filmmakers Jules Bruff and Alethea Root are available for speaking engagements.